The development and use of weapons of mass destruction brought an end to the long, brutal war of World War II; however, it also started the race towards nuclear armament and the fate of humanity. This very thing is what Kurt Vonnegut Jr. predicted would happen in his 1969 novel, Slaughterhouse-Five. 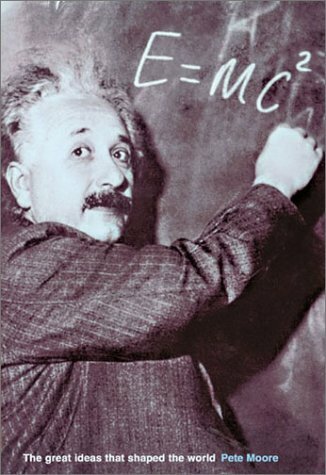 In this book, Vonnegut explores the concept of Einsteinian space-time and its perceptions during that era, the use of science to amplify the destruction of humanity in warfare, and the harsh effects of war on the human mind. Kurt Vonnegut Jr. was born in 1922 in Indianapolis, Indiana. William Rodney Allen of the Kurt Vonnegut Memorial Library notes that Kurt Jr. was the youngest of three children born to Edith and Kurt Sr. Vonnegut. His father was a well-to-do architect and his mother was from a wealthy family, however, his family fell into ruins once they were hit by the Great Depression (Allen). This event turned Kurt Jr.’s life upside-down, as he witnessed the despair of his parents in response to this tragedy. His father’s abandonment of hope and his mother’s choice to abuse substances and commit suicide established the cynicism that Kurt Jr. then carried for the rest of his life (Buckley). Although an admittedly lousy student that dropped out of several colleges, Kurt Vonnegut Jr. studied chemistry and worked for many school and local newspapers during his teenage years, where he picked up a few of his writing techniques (Allen). At the age of twenty, Kurt was shipped off to fight in World War II for the army. Soon after his arrival in Europe, Vonnegut was captured by Nazi soldiers in the Battle of the Bulge as a prisoner of war. Vonnegut was later sent to Dresden, Germany as a POW, where he stayed in a slaughterhouse (Allen). 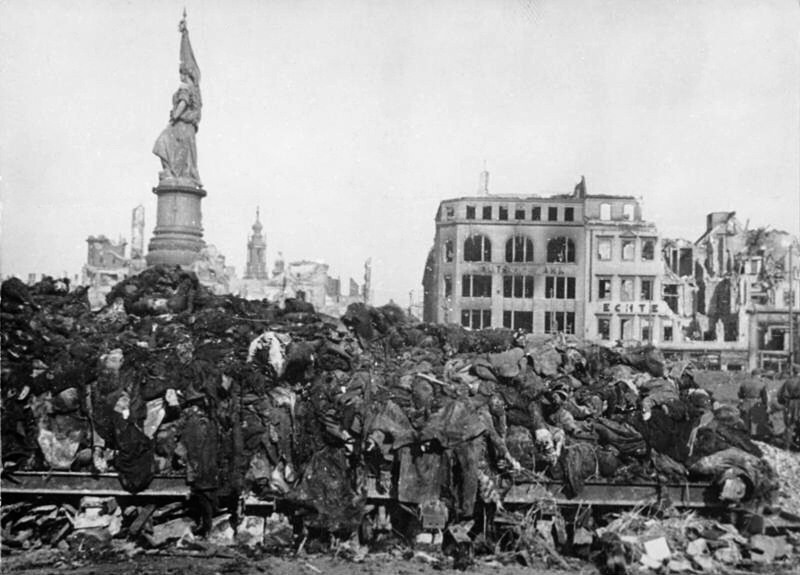 On February 13, 1945, American and British airplanes dropped tons upon tons of bombs and incendiaries across the city, leveling Dresden and killing countless civilians. 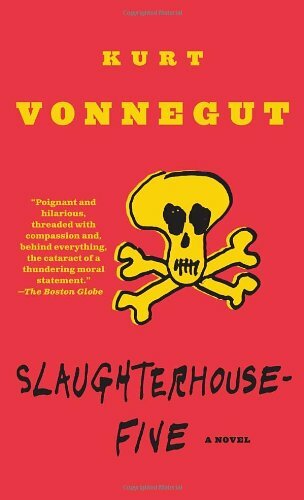 During this atrocity, Vonnegut and his fellow POWs took refuge in the underground slaughterhouses’ meat locker, surviving only to emerge to a murderous scene that changed their lives forever. 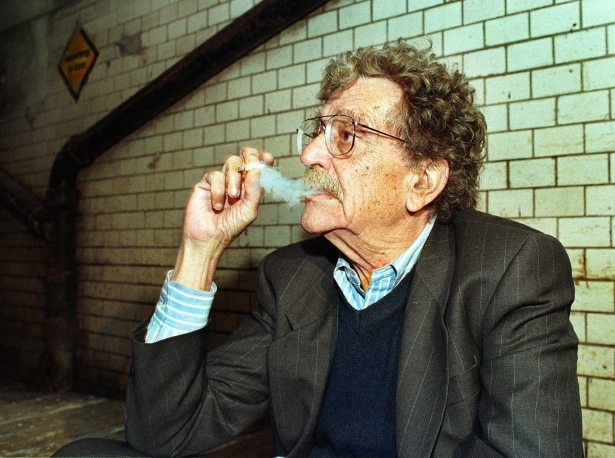 Soon after the Dresden firebombing, the Soviets came to the city and Vonnegut was liberated. After the war, Vonnegut took an advertising job with General Electric and married Jane Cox, with whom he had three children (Allen). Vonnegut began writing stories again and eventually published his first novel, Player Piano, in 1952. In 1957, Vonnegut’s beloved sister died of cancer, only a couple of days after her husband drowned in a horrible train accident (Allen). Vonnegut then adopted three of their children and decided to focus on writing novels so that he could support his family. Within the next twelve years, he went on to publish The Sirens of Titan, Mother Night, Cat’s Cradle, God Bless You, Mr. Rosewater, and then Slaughterhouse-Five (Allen). In these books, Vonnegut established his style of writing, in which he describes grotesque events in a sort of satirical fashion. Vonnegut’s life never really seemed to stray too far from gloominess. Once his children grew up and left the house, Vonnegut’s marriage came to an end and he moved to New York City (Allen). Kurt published two more books in the mid-1970s, but they were unsuccessful and he then fell into a writer’s block (Allen). At the end of the decade, however, his writer’s block had left as he entered into another marriage. He continued to write prolifically about the hopelessness he had for humanity and he later taught as an English professor at universities (Allen). In his latter years, Kurt Vonnegut Jr. was a powerful spokesman against the use of nuclear weapons and on protecting the biosphere. In 2007, Vonnegut died from falling down the stairs of his own home (Allen). Vonnegut stays the night at a hotel in Boston. There, here reads about the story of Lot’s Wife and the destruction of Sodom and Gomorrah from the bible and loses his perception of time. After the first chapter, the third person narration by the author dominates, as he tells the story of Billy Pilgrim. The narrator tells us, “Billy Pilgrim has become unstuck in time,” and then shifts randomly through time with Billy Pilgrim, as he has no control of which moments in his life he is transported to. Billy is described as a weakling from Ilium, New York, where he learned to practice optometry before being shipped off to war. Time continues to shift and the story tells about Billy’s postwar breakdown and recovery, marriage and family, a plane crash he’d survived, and the death of his wife. After recovering from his plane crash, Billy returns to New York City, where he talks about being abducted by aliens on a radio show. Billy continues to write to newspapers to tell of his abduction and the lessons he learned from the aliens of Tralfamadore until his daughter comes to care for him. He tells of his experiences in World War II and in Luxembourg, where he has his first time-shift while leaning against a tree. He sees himself pre-birth and after death, and then shifts to being thrown in a pool by his father to learn to swim. He continues time shifting to various family moments and minor events, and then back to behind enemy lines where a fellow soldier, Robert Weary, is shaking him awake. The other soldiers had deserted him, but Weary stayed behind to save him and blame him for their abandonment. Time then shifts to Billy giving a speech in 1957 as president of the Ilium Lions Club, then shifts again to his and Robert Weary’s capture by German soldiers. Billy continues to fall asleep and time-shift at inappropriate times, and we learn that he has trouble staying awake throughout the day but has sleeping problems at night. In the story, Billy becomes a POW just like the author, and they survived the firebombing of Dresden together, as the author makes himself a character in the story. In a postwar moment in 1967, Billy is a prosperous optometrist with his son serving as a Green Beret in the Vietnam War and his daughter planning to become married soon. That night, the story shifts again to Billy as a POW, where the Germans are forcing the prisoners onto boxcars. Billy becomes separated from Weary and he is stuck in his crowded boxcar for two days before it even starts to move. Once the train finally begins to move, Billy appears at the night of his abduction to Tralfamadore. It is the night of his daughter’s wedding day and Billy cannot sleep because, having already traveled through time, he knows he is soon to be abducted. He later sits down to watch a World War II documentary and watches the movie both forward and backward, noticing how opposite the stories are when reversing the chronology of events. and saucer then jolts away from Earth and Billy is sent back in time to the boxcar. After nine days of being on a boxcar, people are dying all around. On another boxcar, Weary is telling everyone of Billy Pilgrim and how he is the man responsible for his fate. Just before Weary dies, a vicious Paul Lazzaro swears vengeance on Billy for Robert Weary’s death. Ironically, the trains arrive at the prison camp the following night and the prisoners are led to a mass shower. While showering, Billy shifts to a number of other times, including to when he was on the saucer. The Tralfamadorians explain to Billy their understanding of the universe and predeterminism. They tell of their perception of time as the fourth dimension and that each moment is pre-structured so no free will can possibly exist. The Tralfamadorians also explain to Billy how time is not a linear progression, rather a collection of moments that occur an innumerable amount of times. On Tralfamadore, Billy is put into a zoo, where he is displayed as an exhibit. Billy then shifts to times in his childhood and then back to his prison camp. The Americans are housed with a group of British prisoners and they watch a performance of Cinderella later that night. During the performance, however, Billy bursts into hysterics and is taken to the camp’s hospital where he is sedated. When Billy awakes, he has traveled to 1948, where he is in a mental ward in New York for his postwar psychiatric problems. In the bed next to him, Billy meets an ex-captain that introduces him to the novels of Kilgore Trout. Billy falls in love with Trout’s science fiction and can’t seem to talk about anything else when his fiancée comes to visit him. The story then goes back to Billy in the zoo, where the Tralfamadorians are telling him that there are actually seven different sexes of humans required for reproduction, but Billy is not able to perceive the other five because they only exist in the fourth dimension. Billy is also told how the universe will end by a Tralfamadorian accidentally exploding it, explaining that that is how it has happened every time. Later, Billy is introduced to another human, Montana Wildhack, who was brought to Tralfamadore to mate with Billy. The two begin sleeping together and then the story shifts to 1968. Billy meets a boy whose father was just killed while fighting in Vietnam. In an effort to comfort the boy, Billy tells him of what he learned about time in his visit to Tralfamadore, and appears insane to everyone around him. At the POW camp, Lazzaro is beaten up after trying to steal from an Englishman. Lazzaro claims he will make sure that the man is murdered after the war and tells Billy the revenge is the sweetest thing in the world. He reminds Billy of how he’d made a promise to kill him, but Billy does not worry because he has apparently seen his murder numerous times. He then goes on to recount his death. He is giving a speech about the concept of time in 1976 and China has just dropped a hydrogen bomb on Chicago. He explains that the US has been divided into twenty-two different nations so that it cannot threaten the world. He says that immediately after giving his speech, Lazzaro walks up and shoots him with a laser gun. The prisoners are later shipped to Dresden to be housed in a slaughterhouse. Upon his arrival, Billy is astonished with the architecture and beauty of the untouched Dresden. He later tells of the malnourishment of the prisoners, but seems oblivious to the harsh conditions. wife rushes to go see him in the hospital. On her way, his wife gets into a car accident and later dies from carbon monoxide poisoning after reaching the hospital. When Billy awakens in the hospital, he finds himself next to another patient that is writing about the successes of the Dresden firebombing. When Billy tells the man that he was there during the bombing, he is ignored, as the man knows Billy will only speak of it as a horror. Billy then transports back to Dresden, where the Germans have begun to flea because of the imminent invasion by the Russians. Outside of the slaughterhouse, Billy has his first brush with reality as he breaks down upon the sight of suffering horses. He then appears in New York City, where he goes into a bookstore and happens to find books by Kilgore Trout that are strikingly similar to his own alien abduction experiences. He also sees a pornographic magazine with Montana Wildhack on its cover. In New York, Billy sneaks onto a talk show and tries to talk about time and his abduction story but gets kicked out. Billy then shifts back to Tralfamadore, where he sees Montana nursing his and her child. In the last chapter of the novel, the narration shifts between first and third person. The Tralfamadorians are interested in asking Billy about Darwin, but not about Jesus Christ. The story shifts to just before the ending of the war with the POWs, including Vonnegut and Billy, forced to gather and burn the thousands of dead bodies that were left strewn across the city after the bombing. Before long, the Germans leave the city in fear of Russian invasion and the POW are finally liberated. The scene in Dresden is described as silent other than the song of a bird, as nothing is appropriate to say in such a horrific time (Vonnegut). Here is a comical video that I found represents the book surprisingly well. WARNING: It is a goofy video with several cursing bleeps. One of the principles of science that is clearly brought into question in this novel is the concept of time. Kurt Vonnegut’s college career in the 1940’s was a time when Einstein’s theory of relativity and new ideas in physics were very popular. As a result, it is likely that these ideas were fresh in the author’s mind during his times of horror in war and led to the development of his ideas of time. The author facilitates the concept of time into this story as a mechanism in coping with the grief of war and death. He uses the Tralfamadorians explanation of time in order to accept all of the death that surrounds him, as they claim that all moments are predetermined. Kurt Vonnegut posits the deterministic view that all moments in time are pre-structured and follow a strange loop, in which each moment is just as permanent as any other and can be revisited an infinite amount of times. He questions the principles of the Christian religion and suggests that no free will exists, and therefore neither could a superior being. This is exactly the reason his book has struggled with banning. In Slaughterhouse-Five, Vonnegut also uses his concept of time to pursue personal happiness. The author dances along the edges of immortality as he claims that even after death, which you may experience multiple times, you can revisit the joyful times in your life. This is a very important aspect depicted by Vonnegut, as he is applying his twist to Einstein’s theory of relativity and rejecting Newton’s assumption of absolute time. Viewing time as something other than a linear progression was not an easy task for most people, as it is still difficult for most to do so today. 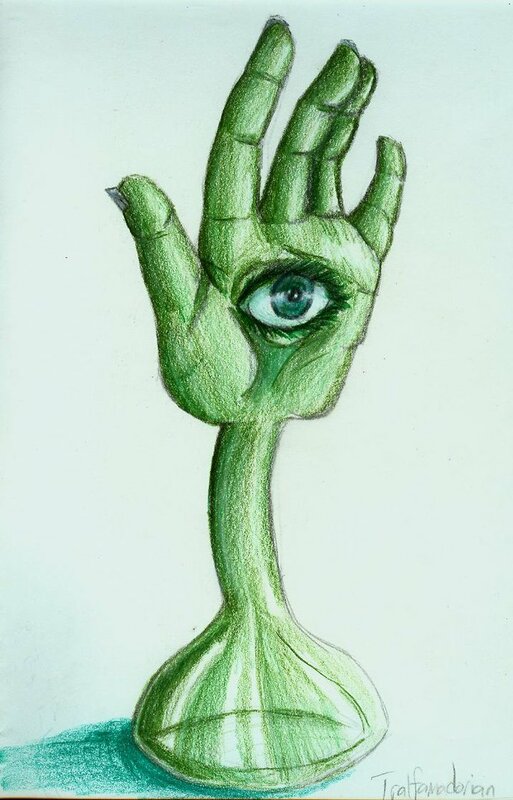 By manipulating time to be holistic as he did, however, Vonnegut gave the public a new consciousness of time and allowed them to see it from a different perspective, although not necessarily the correct one. The firebombing of Dresden on February 13, 1945 “killed 135,000 people, mainly civilians – twice the number killed at Hiroshima – in a period of several hours” (Farber). 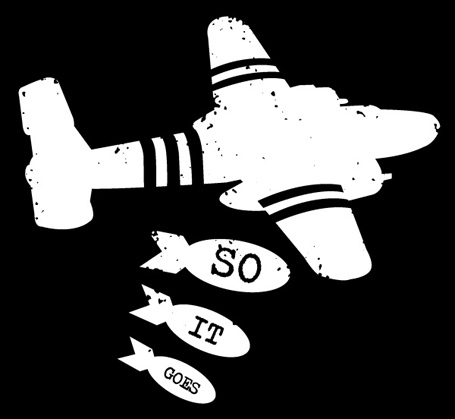 Through Slaughterhouse-Five, Vonnegut was able to communicate to the public that the atomic bombs were not the only things that brought mass destruction upon the world; rather mass destruction was caused by war as a whole. Vonnegut expresses his view of war as meaningless destruction by ending his book at the bomb scene, where no conversation or sound could be heard other than the senseless chirping of a bird (Vonnegut). Through Vonnegut’s use of China dropping a hydrogen bomb on Chicago, he also displays his concern that the development of such powerful weapons will only promote nuclear war and the fate of humanity. The author clearly portrays science as morally evil, as he depicts scientists of the time as dedicating their efforts towards hurting society rather than advancing it. Here is a video documenting the Dresden bombing. WARNING: It contains graphic content. One of the reasons that drove Vonnegut towards criticizing scientists was through the use of their money. In an interview found in the 1972 Chicago Tribune, Vonnegut explains his view that there should be a reduction in the expenditure towards technology, especially in weaponry. Vonnegut goes on to discuss how so much wealth was being poured into weapon development at the time and how the effort was also burning through the nation’s fuel resources (Wolf). Not only was Vonnegut concerned with the billions of dollars spent in creating weapons that would destroy mankind, but also spoke openly against the mission to the moon on a broadcast with Walter Cronkite, claiming that this thirty-three billion dollars was being wasted when it should be put towards the poor and the improvement of society (Buckley). As his book became increasingly popular throughout the Vietnam War, Vonnegut was able to effectively impact the public opinion on the use nuclear weapons and greatly increased the anti-war effort. huge firestorm produced hurricane-strength winds which sucked fleeing civilians back into the inferno, while most of those who thought they were safe in underground shelters were baked alive or suffocated by poisonous fumes” (Farber). This article criticizes Slaughterhouse-Five, claiming that it failed to tell the true monstrosity that actually occurred during the bombing. Vonnegut’s brief descriptions of the scene through his use of fragments in time, however, bring the social effects of the horrors of war to light. After their miraculous survival of the firebombing in Dresden, Vonnegut and his fellow POWs were forced to excavate the countless bodies of the dead civilians and burn them, a sight that haunted them forever (Allen). Rather than actually describing all of the horrors of the bombing, Slaughterhouse-Five focuses on the effects of warfare on human psychology and mental wellbeing. When initially reading this novel and the tale of Billy Pilgrim, the reader likely thinks that the book has turned into a fantasy that they are expected to believe to be true to the story. Not after long, however, one learns that this character must be completely out of his mind, just as the others believe him to be (Vonnegut). Through this depiction of the postwar effects on the mind of Billy Pilgrim, Vonnegut made his anti-war effort in the novel very apparent. In an interview with Andrew Pomerantz, veteran and chief of mental health at Vermont’s VA, Pomerantz claims Slaughterhouse-Five to be the best book to ever be written about PTSD. Pomerantz says that he reread the book after war before going home to prepare himself for interaction with the general public (Pomerantz). The story of Billy Pilgrim clearly demonstrated that many soldiers returning from the horrors of WWII experienced post-traumatic stress disorder (PTSD), although this disorder had not yet been discovered at the time. 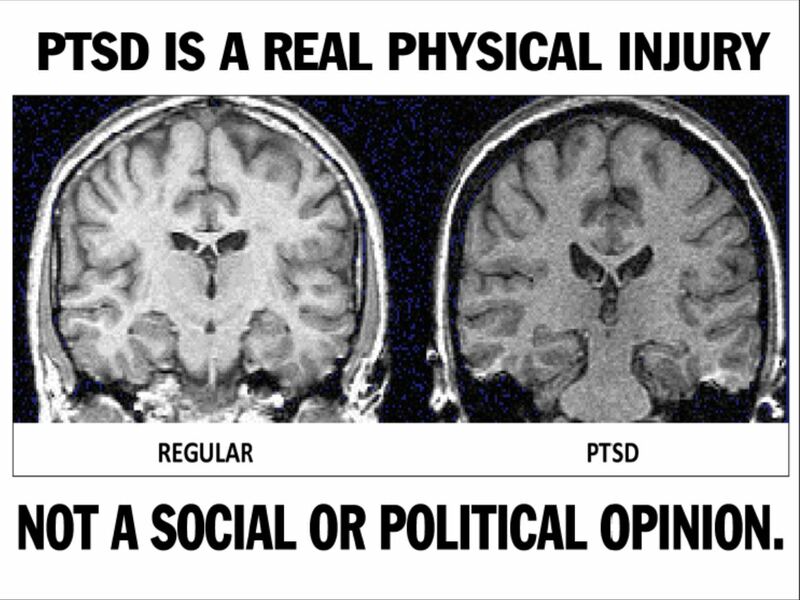 As Steve Bentley points out in “A Short History of PTSD…”, this type of breakdown during World War II was referred to as names such as “combat neurosis” and “battle fatigue,” and also claims that out of the estimated 800,000 American soldiers who actually saw direct combat, over thirty-seven percent (not accounting for those that died) had such serious psychiatric trauma that they were permanently discharged (Bentley). The atrocities that these veterans witnessed followed them everywhere, and the lack of public appreciation for their efforts only heightened the issue. This disturbance amongst veterans did not go unnoticed by others however, and medium such as Slaugherhouse-Five effectively spread awareness of the psychiatric problems experienced by soldiers and encouraged development in the field of psychiatry. Kurt Vonnegut Jr. combined the destructiveness of war, its effects on society and the human mind, and his non-linear concept of time to spread his anti-war effort through his most acclaimed novel, Slaughterhouse-Five. In this novel, Vonnegut slams the scientists of his time for their contributions towards the creation of weapons of mass destruction and correctly predicted that this would threaten the existence of humanity in the future. Vonnegut’s novel led to a better understanding of the concept of time amongst the general public at the time, to further develop the field of psychology and enhance the care of war veterans, and to the education of his readers on some of the consequences of continued weapon development. Allen, William R. “A Brief Biography of Kurt Vonnegut.” Kurt Vonnegut Memorial Library. Web. 26 June 2014. Bentley, Steve. “The VVA Veteran–A Short History of PTSD.” The VVA Veteran–A Short History of PTSD. Vietnam Veterans of America, Apr. 2005. Web. 1 July 2014. Pomerantz, Andrew. “Interview Andrew Pomerantz.” PBS. PBS, 1 Mar. 2005. Web. 1 July 2014. Vonnegut, Kurt, Jr. Slaughterhouse-Five: Or, The Children’s Crusade, a Duty-Dance with Death. New York: Delacorte, 1969. Print. Wolf, William. “Thru Time and Space with Kurt Vonnegut Jr.” Chicago Tribune (1963-Current file) Mar 12 1972: 2. ProQuest. 1 July 2014.